University Communications Network > Ask Dr. Universe > Plants, Animals, and Bugs > How do turtles live so much longer than other animals? You’re right, turtles and tortoises live a lot longer than most other animals. If you were a turtle, you might live for more than 150 years. One giant Galápagos tortoise named Harriet even lived to be more than 170 years old, said my friend Donna Holmes. Holmes is a professor and a member of the Center for Reproductive Biology, where scientists at the University of Idaho and Washington State University work to tackle big questions about aging and animal lifespans. Holmes explained that biologists have come up with several ideas, or theories, for how turtles can live for so long. One theory has to do with the fact that turtles are cold-blooded and have what scientists call a slow metabolism. They don’t have to eat as much food to survive, since they use energy they get from food very, very slowly. Since they are cold-blooded, they also don’t need to use a lot of energy to keep themselves warm. Our bodies need energy to keep us going. When we eat food, our body uses chemical reactions to turn it into energy we can use. But sometimes this chemical process also produces other products that end up damaging our tissues and cells over long periods of time. When this happens, we see signs of aging, such as wrinkles. When we study animals with a slow metabolism, we observe that there isn’t as much damage to their tissues and cells as expected for their age and size. A second idea about why turtles live so long is also related to that low metabolism. Turtles often hibernate. They sink down into the mud at the bottom of a lake or pond, going dormant for the season (kind of like hibernation), and use even less energy. 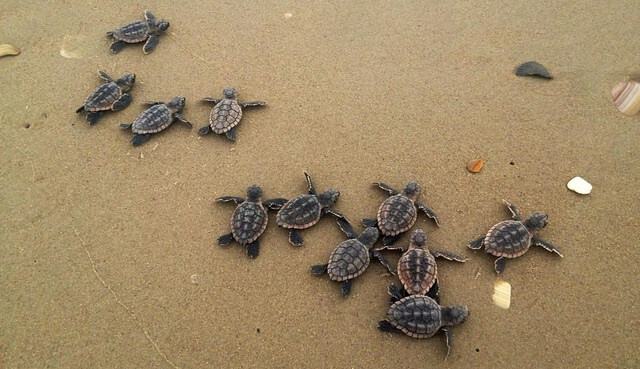 Photo credit: Loggerhead sea turtles coming out of their nest. NPS Climate Change Response, Dawn Childs/USGS. A third idea about why turtles seem to outlive so many other animals is one that Holmes likes best. She said it holds true for animals that have evolved special defenses against predators. “You can see how animals that have hard shells would be protected against being eaten by another animal,” she said. The harder the shell, the less likely you are to become someone else’s dinner. This is a benefit for each individual turtle. Lots of years to live also means that there is more time to breed and produce baby turtles who also have hard shells for defense. The turtles that survive and breed in a particular environment will pass along to their offspring traits that are best suited for that environment—including tough shells. “Animals with longer lifespans such as turtles, porcupines, mole-rats, bats and birds all have evolved defenses against predators in the form of shells, sharp quills, underground burrows, or the ability to fly away,” Holmes said. It seems that using energy slowly and having good defenses may be two key things that help turtles live slow and die old. But there are still many exciting questions left when it comes to aging and lifespan. Who knows? Maybe one day you can help us discover more about the different lives of animals on our planet. 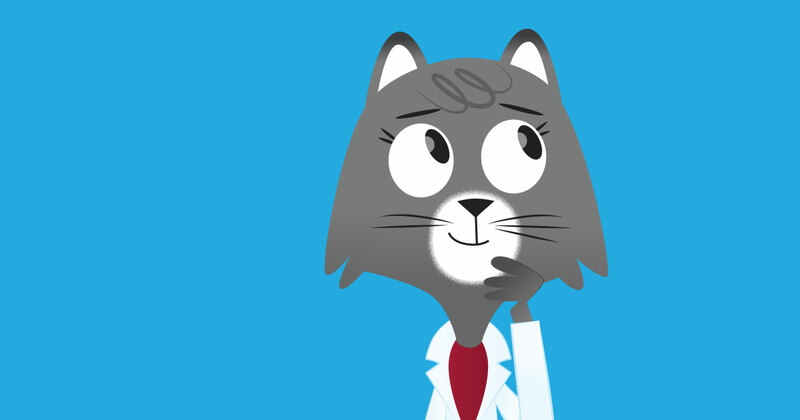 Ask Dr. Universe connects K-8 students with researchers at Washington State University through Q&A. Students can submit science questions on the ASK page. Are you a teacher, parent, or curious grown-up? Follow along on Twitter or Facebook. Do you want to reprint this Q&A? Just send a message to Dr.Universe@wsu.edu. « How do viruses affect animals?